Crew members aboard the International Space Station can expect a special delivery Wednesday morning. A SpaceX Dragon spacecraft loaded with more than 6,400 pounds of supplies, equipment and science materials is heading their way after the successful liftoff of SpaceX CRS-12 at 12:31 p.m. EDT from NASA Kennedy Space Center’s Launch Complex 39A. 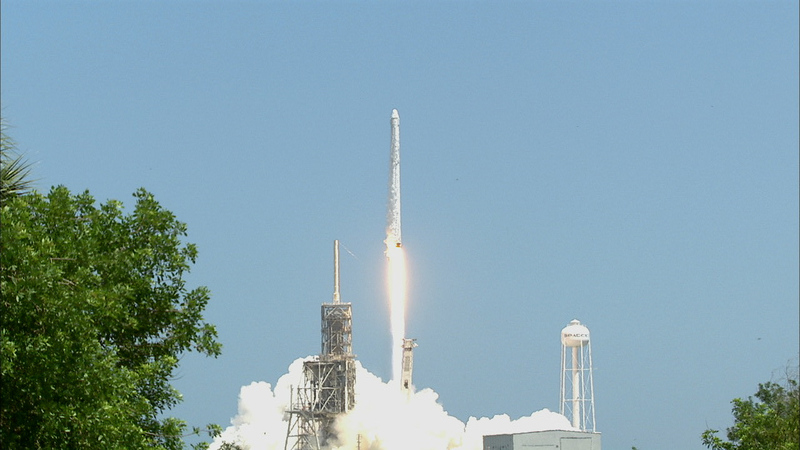 The on-time liftoff marked a spectacular conclusion to a countdown that proceeded like clockwork throughout the morning, aided by cooperative weather conditions across the launch site. 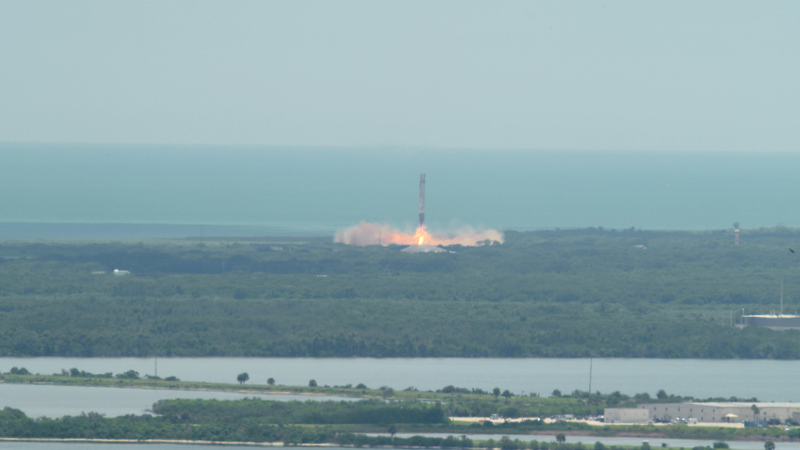 With a sonic boom sounding across Florida’s Space Coast, the first stage returned to SpaceX’s Landing Zone 1 on Cape Canaveral Air Force Station while the rocket’s second stage finished the task of propelling Dragon to orbit. 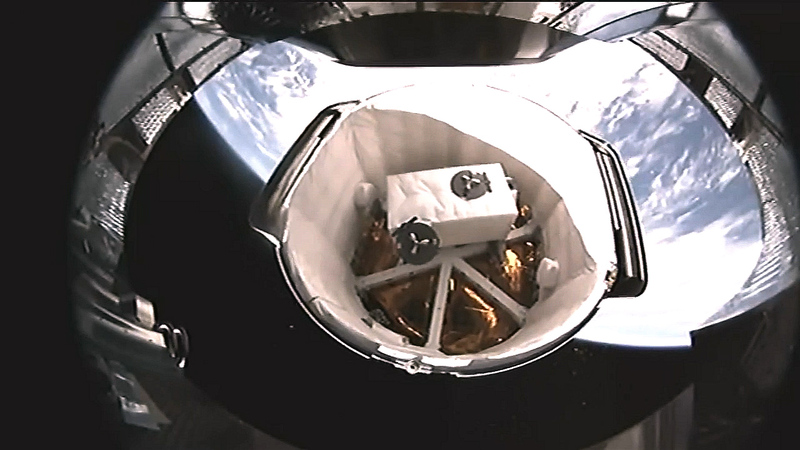 After a successful separation from the Falcon 9, the Dragon spacecraft deployed its solar arrays and embarked on its two-day pursuit of the orbiting laboratory. Watch the rendezvous and grapple live on NASA TV starting at 5:30 a.m. Wednesday. Dragon’s solar arrays are unfurling and the spacecraft is on course to deliver more than 6,400 pounds of cargo to the International Space Station two days from now. Live coverage of the rendezvous and capture will begin at 5:30 a.m. Wednesday, Aug. 16, on NASA TV, with installation coverage set to begin at 8:30 a.m. The Falcon 9 rocket’s first-stage engines have finished their burn and separated from the vehicle. 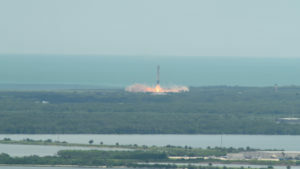 As the second stage continues the flight, the first stage will aim for a landing at Cape Canaveral Air Force Station. 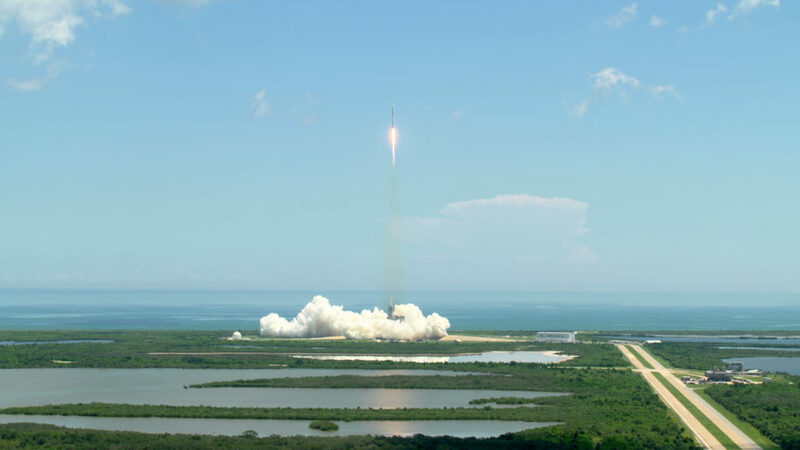 T-0, ignition and liftoff of the SpaceX Falcon 9 rocket and Dragon spacecraft, setting off on the company’s 12th mission to deliver supplies, equipment and science materials to the International Space Station. The terminal countdown begins at T-30 seconds. Cosmic Ray Energetics and Mass (CREAM): From its vantage point on the station’s Japanese Experiment Module Exposed Facility, the CREAM instrument will spend three years measuring the charges of cosmic rays — information that could aid scientists in understanding the fundamental structure of the universe. Crystallization of LRRK2 Under Microgravity Conditions (CASIS PCG 7): CASIS PCG 7 was developed by the Michael J Fox Foundation, Anatrace and Com-Pac International to take advantage of the microgravity environment in orbit to grow larger versions of LRRK2, a protein implicated in Parkinson’s disease. 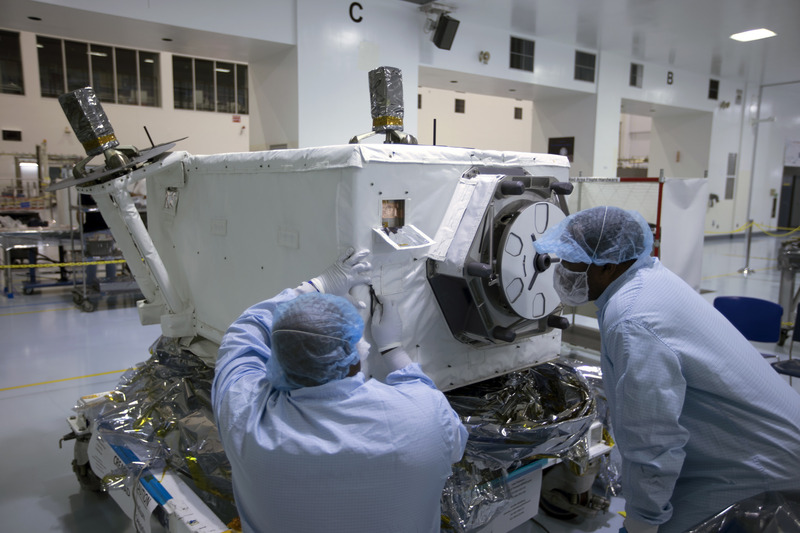 Kestrel Eye (NanoRacks-KE IIM): This microsatellite carries an optical imaging system payload, including a commercially available telescope. Kestrel Eye is designed to help prove the concept that microsatellites can support critical operations and serve as viable payload platforms. 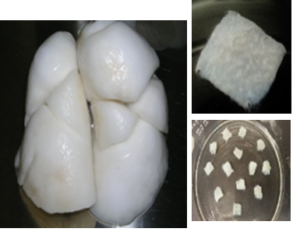 Effect of Microgravity on Stem Cell Mediated Recellularization (Lung Tissue): This experiment also leverages the microgravity environment — this time to test ways to grow new lung tissue. A specialized framework will allow scientists to observe the effect of gravity on different types of lung cells as they grow into new lung tissue. Pictured at right: Human lung scaffold pieces can be made for use as a scaffold to support growth of bioengineered lung for research studies like lung tissue. Image courtesy of Joan Nichols. Space Life and Physical Sciences Research and Applications: These experiments/payloads are developed to drive scientific and technological advances enabling both the expansion of human spaceflight and the enhancement of life on Earth. Good afternoon from Kennedy Space Center! 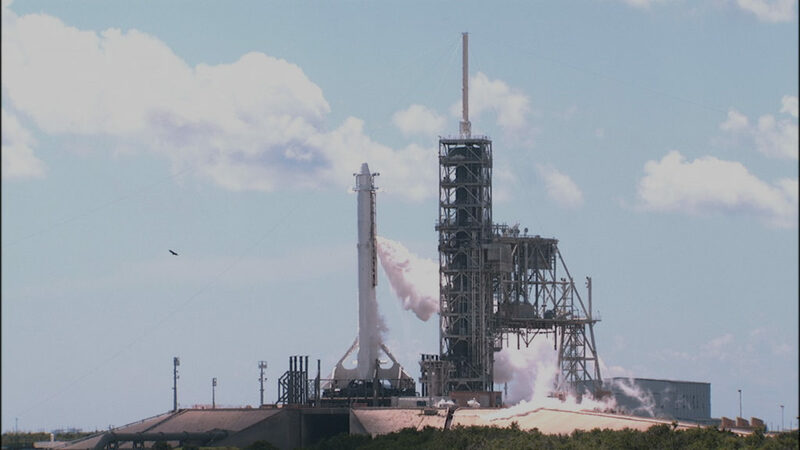 At Launch Complex 39A, a SpaceX Falcon 9 rocket and Dragon spacecraft stand ready for liftoff in an instantaneous launch window at 12:31 p.m. EDT. Dragon’s internal countdown is running and propellant loading is underway. It’s sunny and warm across Florida’s Space Coast. Launch Weather Officer Mike McAleenan with the U.S. Air Force 45th Weather Squadron is monitoring conditions in the launch area, but weather is not expected to pose a problem. 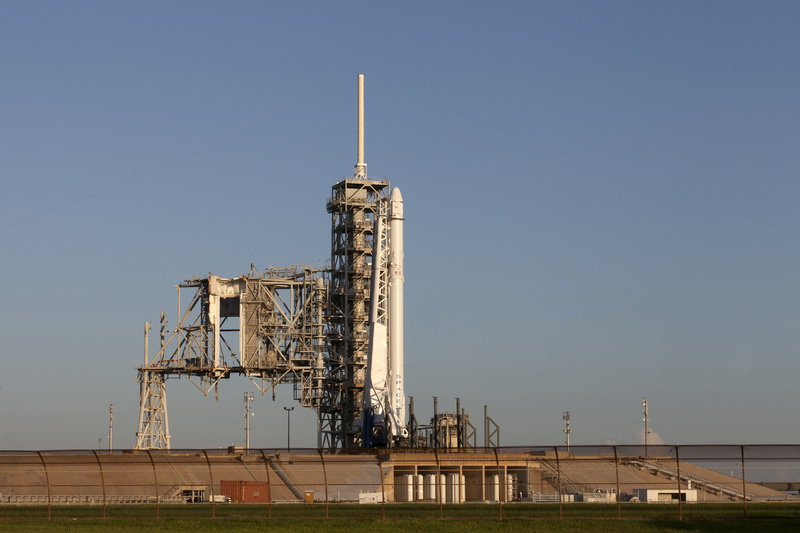 The current weather prediction is 80 percent “go” at launch time. Today’s launch is a cross-country effort. 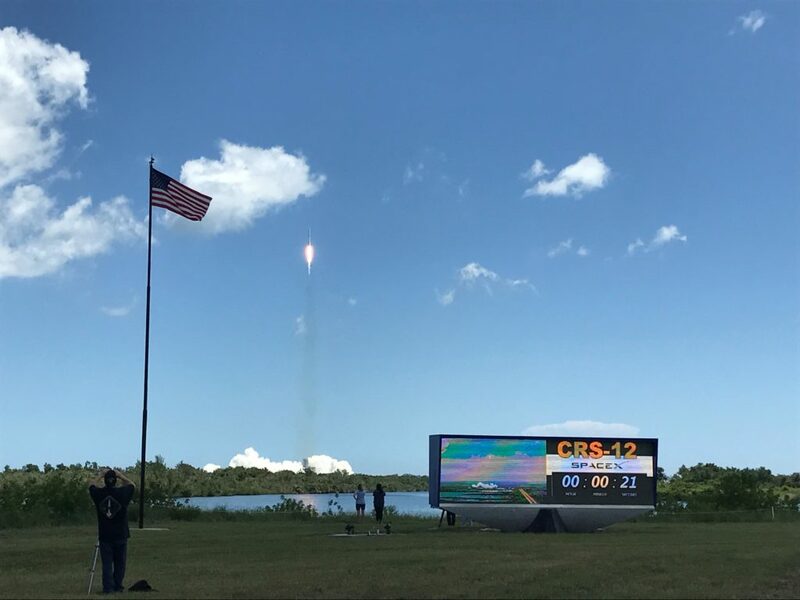 Launch controllers at the Florida spaceport are working in concert with teams at NASA’s Johnson Space Center in Houston and SpaceX’s control center in Hawthorne, California. The launch blog originates from the NASA News Center here at Kennedy, about three miles from the launch complex. There’s more to come, so stay with us.